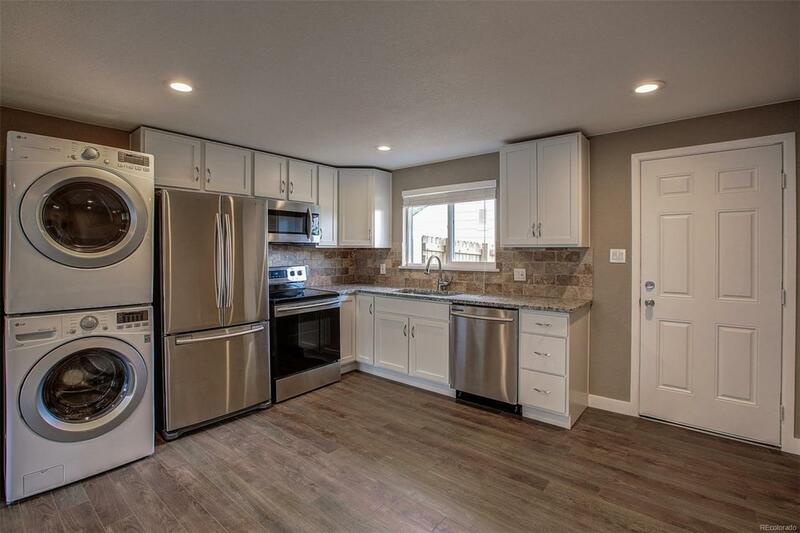 Great remodel home located in up in coming Barnum neighborhood, move in ready with new Samsung kitchen appliances, brand new stackable front loading washer/dryer (warranty included all kitchen appliances). New kitchen granite counters and upgraded white designer cabinets. Bathroom new with stunning mosaic high-end tile accented by tile flooring. Stunning new floors, baseboard, and window covering with a designer touch including canned lighting throughout the unit. New roof (last year), gutters, water heater and sewer line with a transferable warranty. Two Bedroom, one bath with over 740 square feet of great additional storage space below grade level. Great backyard including new privacy fence great for pets with at least 2 car reserved parking on-sight. The back unit appraised for $308,000 with a closing date of 8/30/2018. Great Deal built in equity! !